FLORIDA NATIONAL UNIVERSITY MEN AND WOMEN’S TENNIS TEAM PLAYED THE FIRST EVER TENNIS GAME IN FNU HISTORY. 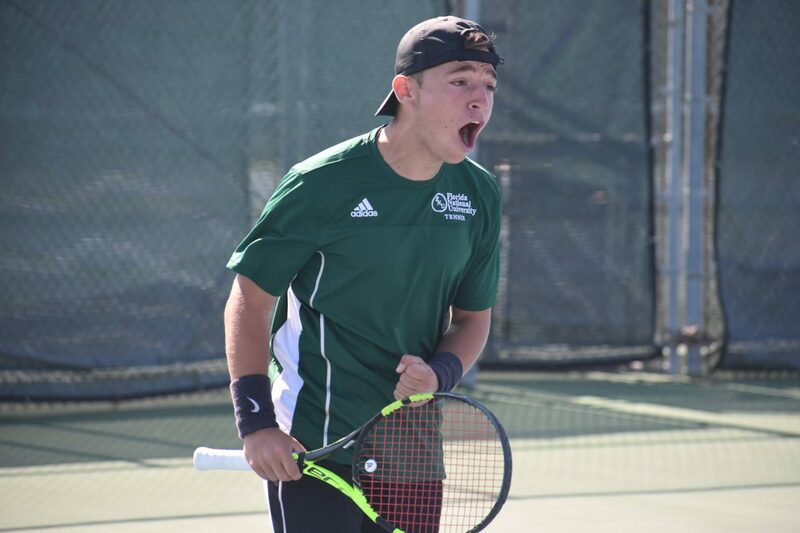 Hialeah, Fla. – Conquistadors men’s tennis start off on the right foot taking 6-0 in Singles and 2-1 in Doubles. Conquistadors women’s tennis stumbles out of the gate with a 1-8 loss in the first home game in FNU history. FNU’s Pera and Bonivardi took down WU’s Andrea Silva and Marla Mesa Montoya in the first pairing of doubles by a score of 8-1. WU’s Paula Ordonez and Annaleigh Collings defeated Vivas and Guzman in the second doubles matchup. WU’s Danieris Santiago and Veronica Kamoi finished things off in the third doubles slot defeating FNU’s De Souza and Ardanal. The Conquistadors will face Ave Maria University on Tueday January 29th, in Ave Maria, Florida at 12:00 p.m.